Eyes misty, I soon learn I wasn’t the only one moved. Ana’s story is finished and many rush to embrace her. I follow. Sometimes it is just easier to express your emotions through a hug. In that moment, we are one. United by our empathy for the history of this garden, and the struggle of natives being labeled as foreigners. The Troy Chavez Memorial Peace Garden is sustained by his mother, Ana (Ana Chavez de Quintana). The garden is her way of continuing Troy’s work of building community and alleviating the pain of losing over 100 kids to violence among the Denver Colorado youth, between 1992 and 1994, Denver Post June 28, 2013. 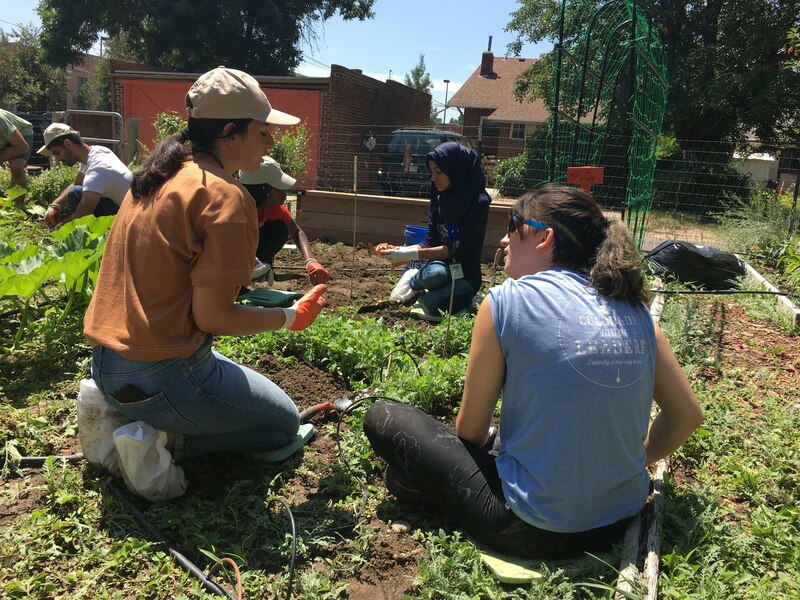 Colorado Young Leaders (CYL) collaborated with Iraqi students visiting America through Iraqi Young Leaders Exchange Program (IYLEP) in a hands-on project to help Ana clear weeds from plots that were overgrown and prepare them for new seeds. Our hands deep in the earth, we got to know each other. Curiosity hummed as we tried to understand each other and wade through assumptions and possible misconceptions about what it’s like to grow up in Iraq. My perspective was expanded even more by the fact that the students we met lived in various parts of Iraq, which exposed an even greater difference between culture, community, and language. I was struck by the somewhat obvious realization of how short-sighted, and even harmful, it can be to associate individuals with the perception of an entire country—especially a country where there exists both past and current conflict. Individuals aren’t the country they live in. 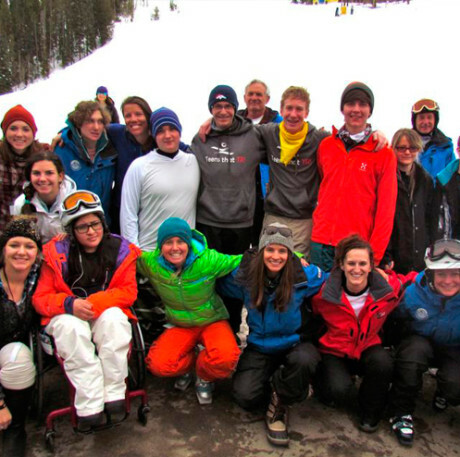 People are diverse in their experiences, opinions, and local community. This is as true with Iraq as it is America or any other country. I felt compelled to represent myself, to represent my community, to represent America as somewhere that is more than just a place with hate. I offered acceptance, openness, and the humbleness to admit we don’t know everything. Even though we all came to the garden for different reasons and with different backgrounds, I momentarily forgot how easy it is to connect with others when you’re working side by side and how easy it is to have genuine interactions when you have an open mind. Besides just gardening, we were able to share a meal and have time for reflection at a local Conflict Center. We journaled: Who am I? Who do I choose to be? How shall I be? Our dreams were shared, spoken words binding us into a dynamic community contract. I live my life trying to remain inquisitive about the world around me and resist the comfort of “normal”, but as I drove home I felt for that short moment that my rose-colored glasses were shattered, and I was able to see my life and experiences with a new light. A fish out of known water. There are ordinary things like placing my order at a restaurant and piecing together a meal—black or pinto? Any cheese or salsa?—that you know how to do without knowing how you know. Being able to interact with people I might have never met and to share this wonderful experience of the Troy Chavez Memorial Garden will stick with me as I continue to serve and strive to see the world differently. Be a warrior in life. Not one defined by physical strength or violence, but a warrior of heart and mind. Someone who builds community and commits their life to service. Maybe then, you will be reborn as a butterfly.